California could join a growing number of states seeking to enact "Right to Repair" laws that let consumers take smartphones and other devices to third-party repair shops or fix them at home without voiding warranties. California may add its voice to a growing chorus of states seeking to enact "Right to Repair" laws that would let owners of mobile and other electronic devices get their hardware fixed by third parties without voiding manufacturer warranties. California Assemblymember Susan Talamantes Eggman (D-District 13) introduced a "Right to Repair" Act that would require electronics makers to offer diagnostic and repair information, as well as equipment or service parts, to product owners and independent repair shops. Talamentes' bill joins efforts in 17 other states that have introduced similar Right-to-Repair legislation. 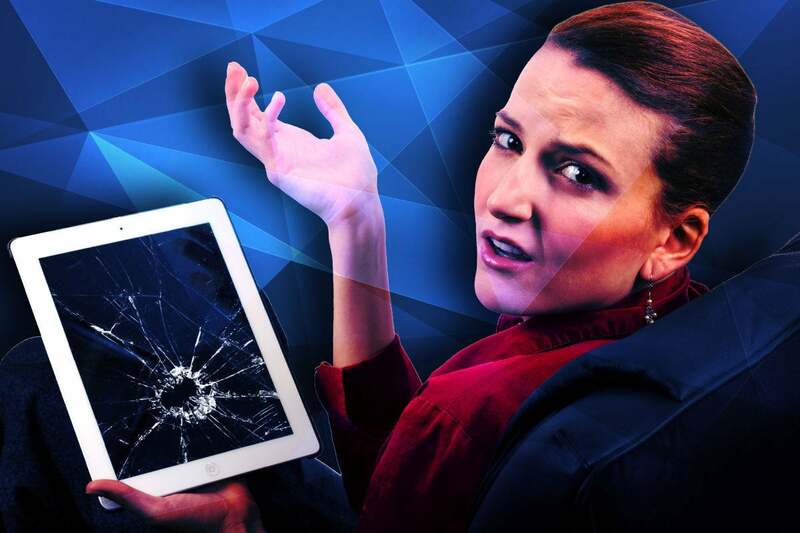 Talamantes and others argue that consumers who can't afford the high price of manufacturer-based repair services are increasingly forced to prematurely replace durable goods, such as smartphones or laptops. Repairing and reusing electronics is not only a more efficient use of the scarce materials that go into manufacturing the products, she argued, "but it can also stimulate local economies instead of unsustainable overseas factories." "People shouldn't be forced to upgrade to the newest model every time a replaceable part on their smartphone or home appliance breaks," Mark Murray, executive director of Californians Against Waste, said in a statement. "These companies are profiting at the expense of our environment and our pocketbooks as we become a throw-away society that discards over 6 million tons of electronics every year." Along with California, the list of states that have proposed Right-to-Repair legislation includes: Washington, Massachusetts, Vermont, New York, Hawaii, Illinois, Iowa, Kansas, Minnesota, Missouri, North Carolina, Nebraska, New Hampshire, New Jersey, Oklahoma, Tennessee, Virginia. Apple declined to comment directly on the issue and instead pointed to a buzzfeed.com story to explain its stance. Samsung and Google did not immediately respond to requests for comment. Apple has a reputation for making its smartphones and other electronics difficult to repair, and each new generation has become more so. For example, iFixit.com, a website that posts information about how to repair mobile and other devices, gave the iPhone 8 a six out of 10 rating for the ease with which it could be repaired by an owner. The iPhone 7 received a seven out of 10 reparability rating last year. "Six out of 10; that sounds like a D to me," said William Stofega, IDC's program director for Mobile Phones and Drones. Stofega pointed to efforts by vendors to intentionally make it difficult for users to fix their products. For example, laptop manufacturers often use screws for which drivers are progressively difficult to find. Apple, for example, tends to change the screw types for its MacBook with each new generation. "They're not just flathead or Phillips," Stofega said. One aspect playing into the push for Right-to-Repair laws is the fact that consumers now tend to hold onto smartphones and other devices longer than in the past – partly because they are more expensive today, costing as much as $1,000 for a smartphone like the iPhone X.
IFixit has been a staunch advocate of Right-to-Repair legislation. When visiting its site, readers are often greeted with a pop-up message that encourages them to support the myriad of legislative efforts. "This year, Massachusetts could be the first state in the nation to pass the Fair Repair Act, S.96 and H.143 ," one pop-up message reads. "We have a chance to guarantee our right to repair electronic equipment – like smartphones, computers, and even farm equipment. This is a once-in-a-generation chance to protect local repair jobs – the corner mom-and-pop repair shops that keep getting squeezed out by manufacturers." In 2014, Massachusetts was the first state to pass a Right-to-Repair law for automobiles, allowing consumers to take their vehicles to third-party mechanics without voiding their manufacturer warranties. Kit Walsh, a senior staff attorney with the Electronic Frontier Foundation, said Right-to-Repair legislation is critical to protect independent repair shops and a competitive market for repairs, which means better service and lower prices for consumers. "It also helps preserve the right of individual device owners to understand and fix their own property," he said in a statement. Apple has in the past lobbied against Right-to-Repair legislation. "Apple is not alone in opposing this legislation. The shared concern among brands is that the legislation opens up opportunities to hack and more generally compromise security," said Carolina Milanesi, a principal analyst with Creative Strategies. While Milanesi did not say allowing third-party repair shops to fix broken electronics would open the floodgates to hacking, she did question why a consumer would want to use outside services in the first place "considering...your product is likely replaced without questions" under warranty. "This is especially true of Apple in my view," Milanesi said. "I am really not sure why and how often consumers would seriously considering repairing an iPhone or, any other phone for that matter, themselves. These devices are delicate pieces of engineering brilliance and opening one up to try and fix it will feel like performing open heart surgery to be honest. "I certainly don't think there is any plot from these brands that oppose the legislation to make the devices more difficult to repair to make money on that," Milanesi added in an email response. "Client satisfaction and loyalty is what they care about." Stofega disagreed, and said manufacturers know there's a lot of revenue tied to their electronics repair business. "They [electronics] are complex, but if you go to iFixit, you can navigate around it," Stofega said. "Just like car repairs, you can take it to the Toyota dealer or to a third party. There's a lot of money in repairs." Stofega believes California's Right-to-Repair legislation has a better chance of passing than past efforts because of growing support among constituents and independent repair shops. But he recognized there's a significant opposition lobbying effort behind the scenes. "There's been all kinds of back and forth around this," Stofega said. This story, "California eyes 'right to repair' smartphone law, may join 17 other states" was originally published by Computerworld.